foresta - latin - defined as land under woodland/forest law. A renewable resource, a spiritual cathedral, a sanctuary from the elements, an alienated wild place that terrifies and haunts us. Wooded lands have played a major role in the development of most societies throughout history. This role has often been a resource for economic exploitation and yet countless examples of our interdependency and connection to this place can be seen and heard in the forest. foresta (open wood) is a three part selection from a larger ongoing collaboration between composer Daniel Peterson and filmmaker Adam Hogan. The project serves as a nonverbal documentary set in the Pacific Northwest, exploring time on a human and geomorphological scale. 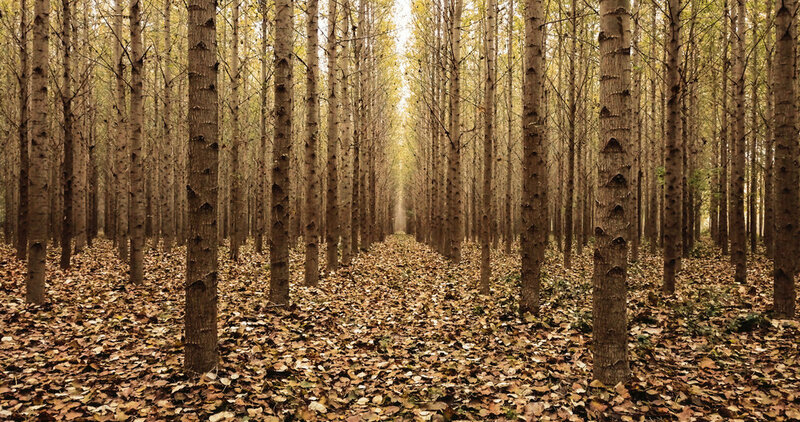 This selection examines wooded lands, forests, and timber through active industrial forests, recovering ecosystems from natural disaster and surreal geometrically planted timber farms. The project is an exploration between the tradition of cinema and electroacoustic sound composition in ambisonics. Ambisonics is a 3D sound technology that creates a holistic sound field, a seamless 3D field, analogous in sound to the idea of a hologram in light. Ambisonics is powerful because it is modular and does not depend on a specific speaker array. It allows for the composer to think about space abstractly and not about speakers. Ambisonics is also a way of thinking about sound and space. It permeates all aspects of Peterson’s compositions, not just the spatial ones. It has allowed him to think about how sounds combine in the real world and to translate these ideas into musical compositions. The larger collaboration like much of my work has taken us through multiple extended engagements with the sites and is still very much in production continually evolving. A great amount of effort and labor goes into site scouting and working on location in search of these surreal and uncanny spaces. The following images are some film stills and BTS from the field.